This white gold engagement is simple and elegant. 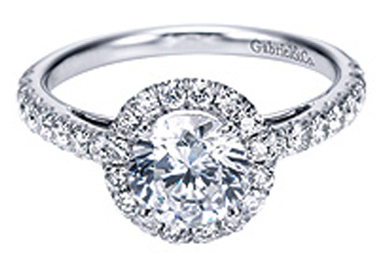 The halo of diamonds prepares the perfect stage for the sparkling center stone to truly shine. This 14K white gold round diamond side-stones contemporary halo engagement ring is the perfect ring for your proposal. Click here to learn about Gabriel & Co.